ATHENS (Reuters) — Europe's top human rights court accused Greece on Thursday of failing to protect migrant workers who had been subject to "forced labour" and shot at by security guards when they protested over unpaid wages. The European Court of Human Rights (ECHR) ordered Athens to pay 16,000 euros each to the workers whose case had triggered outrage across the country. Greek authorities, it said, had been fully aware of the circumstances. Foremen at a strawberry farm in the southwestern Greek town of Manolada opened fire on dozens of migrant workers protesting over unpaid wages in 2013. 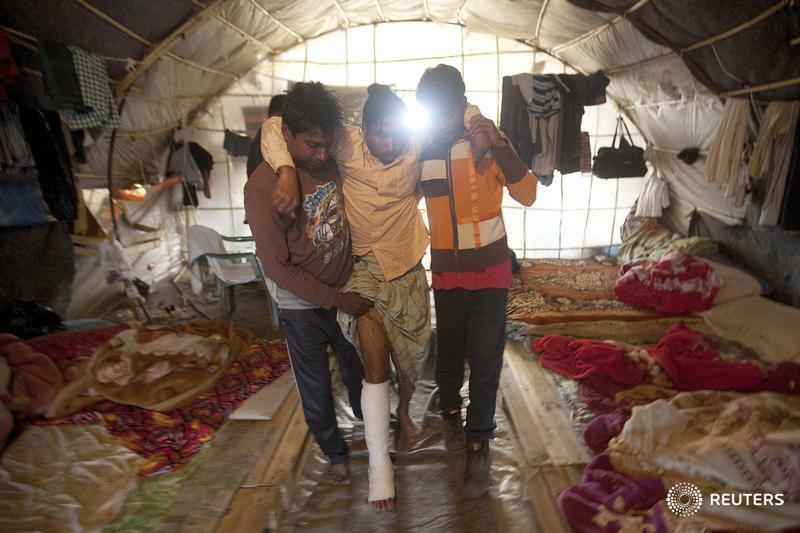 More than twenty migrants, mostly Bangladeshi, were wounded. A year later, a Greek court acquitted their employers of human trafficking ordering them to pay 43 euros to each of the 35 workers who were recognized as victims. It also gave one armed guard and one employer suspended sentences in a ruling that prompted angry protests from unions and rights groups. The migrant workers had been forced to work 12-hour days under the supervision of armed guards and went on strike on three occasions for back pay. Their employers warned them they would get paid only if they continued to work, the ECHR said. They lived in makeshift huts without toilets or running water. "The facts at issue, and particularly the applicants' working conditions, showed clearly that they amounted to human trafficking and forced labour," the ECHR said. Greek authorities, it said, had failed to protect the migrants from the treatment they received, although they were aware of the situation in the strawberry plantations. The court ruled that Greece had to pay those who had appeared in Greek courts 16,000 euros each. Greece is a gateway for migrants trying to enter the European Union through its porous sea and land borders. The country is still struggling to emerge from a debt crisis despite signing up to three international bailouts. Unemployment currently stands at about 24 per cent. Most of the migrants who find work in Greece are employed illegally. More than 40 per cent of the country's undocumented workers are migrants, reports during the debt crisis have shown.